The Makers Market is a juried event. This means vendors are selected from our creative team who are looking for unique goods that are locally handcrafted throughout the region. To apply, please review our guidelines and packages below and submit your online application. All applications are approved on a first come, first serve basis. You will be notified via email when your application has been approved with an invoice for your space. Payment must be made within 24 hours in order to secure your space. Applications are juried based on the following factors; uniqueness of product, locally sourced materials, visual display and product photography. Product categories will be carefully considered to avoid any overlapping in assortments. Your goods must be 100% handmade by you and/or your employees. Locally sourced, small-run production will be accepted for certain products (please indicate this on your application). To create a modern and beautiful market, products should be merchandised in a unique minimal way. Special fixtures and logo signs will need to be approved prior to event. Vendors are required to participate on both market days (Saturday, 8/31 & Sunday, 9/1) and should arrive promptly for setup time. Setup times and other communication will be sent out once your application is approved. Barn will be safely locked overnight. You will not need to breakdown your space between Saturday and Sunday. By submitting your application you are agreeing to these guidelines and the terms set forth in this application. Once your application is approved, further communication will be given via email throughout the upcoming months and leading up to the market. Please choose your package in the online application. Packages selected will be approved based on availability and product assortments. Bantam – A small 8′ wide tabletop space located in the back annex or middle aisle of the main barn. Space will accommodate only two people with minimal storage under table. No additional front real estate available for fixtures. Two-day market rental. Mini pop-up – An 8’x6’ footprint to get creative with! Located in the main entrance of the barn, you can utilize front real estate for additional fixtures. Two-day market rental. Super Pop-up – The ultimate market pop-up for vendors to get creative with! A 360-degree outdoor space that gives you a large footprint to merchandise your dream shop. Includes 10’x10’ space w/ white tent. Utilize space with your own fixtures. Visible upon entrance to venue. Two-day market rental. Customized Space – We will work with you to customize an outdoor space to fit your needs. A 360-degree outdoor space that gives you a customizable footprint to merchandise your dream shop. Various tent size and shape options are available. Utilize space with your own fixtures. Visible upon entrance to venue. Two-day market rental. In addition to the above packages, each approved vendor will benefit from a variety of marketing and PR initiatives that will occur leading up to the market. Further information on these initiatives will be communicated via email. To help spread the love of your fabulous goods, each maker will be featured on the market website along with posts on our social media outlets including, Instagram, Facebook and blog. Please provide a link to your business Instagram account. Please provide a link to your business facebook account. Accessories Ceramics / Pottery Clothing Fiber Fine Art Food / Drink Furniture Health / Beauty Housewares Jewelry Kids Pets Photography Plants / Flowers Printmaking Stationary Vintage Other Please select categories that best describes your goods. Are any goods manufactured by someone other than yourself? If so, Where is the manufacturing located? We strive to have a beautifully curated market and encourage vendors to merchandise their product in a creative and modern way. Give us some details on how you display your product (props, fixtures, tables). In order to give us a better idea of your product merchandising, please upload an image from a previous market or your retail shop. — Select Package — BANTAM single space: $160 MINI POP-UP single space: $200 SUPER POP-UP space: $350 Custom space: $800+ See package details above. Please select your preferred choice, packages are available on a first-come, first-serve basis. If your package is no longer available, we will notify you with other options. — Select — 1 table - $10 2 tables - $20 3 tables - $30 4 tables - $40 If you are bringing your own table, please make sure it's 8ft. wide and standard depth to maximize your space. Table rental is available for $10 per table and will be added to your invoice once the application is approved. Yes, I need a table drape. If you are using a standard folding table, we require that your table drape completely covers the front and both sides of the table to the ground. We will have a limited number of burlap table drapes available upon request. Fee will be deducted on all approved applications in your final invoice. 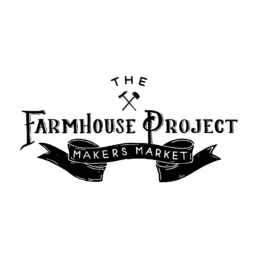 I agree Upon acceptance of application, I agree to participate in The Farmhouse Project Makers Market in it's entirety and agree to everything stated on this page.